Chicago Sign Company is a local sign provider that specializes in large format printing. Among our most popular orders are large banners printed with an appealing promotional design. They are often used to cover up a messy or boring exterior while promoting the client’s brand, event, or campaign at the same time. Large format printing isn’t just for outdoor purposes, they are also very useful inside establishments as promotional and branding tools. Signs as versatile and multi-purpose as large banners provide a great advertising opportunity, however, for them to be effective, they must be high-quality. 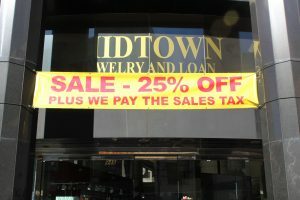 This is where a trusted signage company like Chicago Sign Company can help you out. Call Chicago Sign Company today at (312) 626-3766 for a Free Consultation with a Large Banner Expert! 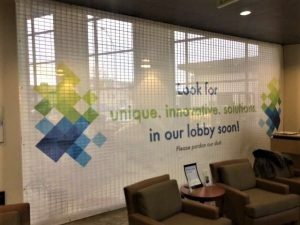 Large banner orders handled by Chicago Sign Company undergo careful study and analysis of the business as well as its objectives…this allows our team of graphic designers to come up with impactful design and allows our signage specialists to execute strategic sign placement. 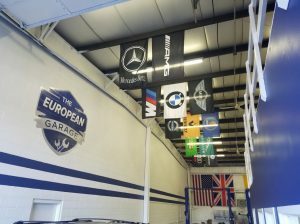 At Chicago Sign Company, we don’t settle for getting your business noticed…we make sure that your large banners create influence and produce results. 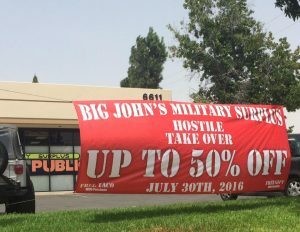 One apprehension that customers have when considering large signs is the turnaround time. Large sign types normally take longer to make for obvious reasons. 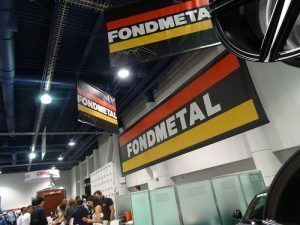 However, wide-format banners by Chicago Sign Company can often be produced in a matter of days! With our state-of-the-art large format printers, we can get your banners printed, laminated, and cut in no time. 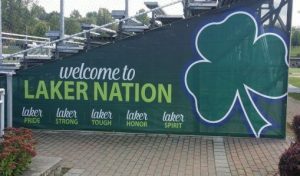 Chicago Sign Company is confident that our technical know-how, skills, technology, and years of experience can deliver your large banner orders on time and on budget. Chicago Sign Company makes it a point to give all of our clients our very best. This includes guiding them through the entire sign-making process. When our clients need it, we provide them with the insight and assistance that they need at every step. As a full-service sign company, we can handle every phase of the sign-making process, from analysis to design, printing, cutting, installation, and even maintenance. Chicago Sign Company is passionate about giving you signs and banners that speak to your brand personality and give your business a boost. If you’re looking for impactful and long-lasting signs that fit your budget and your deadline, then Chicago Sign Company is the provider for you. We look forward to creating the attractive, high-value large banners your business needs.